Arguably everybody takes a backseat to Sandy Koufax, but teammate Drysdale would have been an ace on any other team. 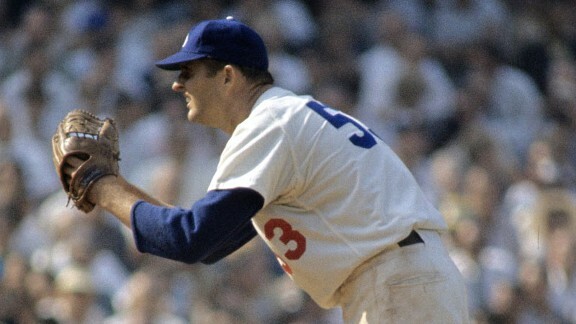 Drysdale won the NL Cy Young in 1962 with 25 wins and claimed three strikeout titles. Drysdale was the rare pitcher who was equally fearsome at the plate, hitting 29 home runs during his career.